How was it? Can't leave us hanging! It was good! Unfortunately by the time I drove up there most of the snow was gone and it was really icy. She drove well and didn't get stuck had to use 4hi when climbing up the mountain due to the snow/ice but she made it up without a wimper. All in all not a bad way to pop my snow cherry in this thing, and i think I may have fallen in love with her some more. Best truck I've owned by a longshot. Last edited by ThermiteBasedToys; 01-14-2019 at 06:19 PM. Glad you had fun. I gotta ask, where was this? The landscape looks a lot like where I grew up. Looks like fun! Your truck is awesome! Thanks man I love it, poured alot of sweat, money, and tears into this. Gotcha. I grew up next door in the land of entrapment. I've been to Flagstaff a few times and it's pretty similar. mu number one tip is air down, and air down low for snow. 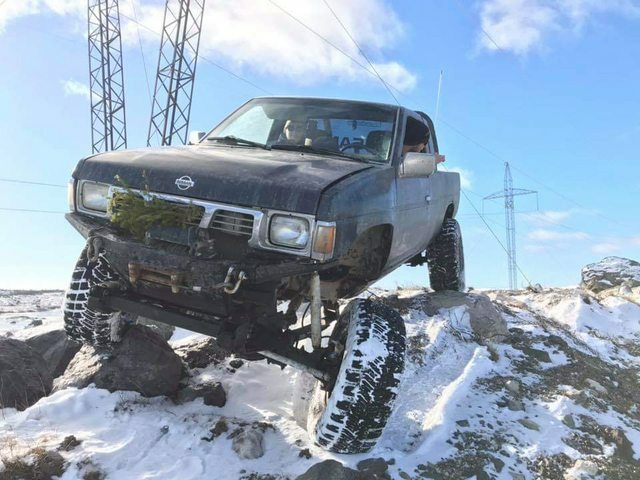 I run 5psi in my tires on the deep snow. 10psi for rock crawling. Momentum is the key when driving in snow. Slow and steady will get you around much better than the stop and go. Looks like you had a great time. Nice front build though!